Trainer Chris Munce is confident front-running speedster HELFUCHI will handle the step-up to 1200m when she heads across the border to Grafton with three stablemates tomorrow. The consistent Helmet filly heads to Grafton in fine form, having registered a win, two seconds and a fourth from her four starts this preparation. Despite being narrowly run down over 1100m at Gatton last start by subsequent Saturday Metropolitan placegetter Crystal Amour, Munce believes HELFUCHI’S work since then suggests she will be able to the run out the distance tomorrow. "The form around her is very good and she’s done really well since Gatton. "Hopefully she can get to her normal role on the speed at a good tempo and sustain the gallop right through the line. I’m confident she’ll run the 1200m and I’ve very happy with where she is, at this stage of her preparation. The stable also has three other runners lining up at Grafton tomorrow, including two-year-old first-starter MYSTIC BROOK, who has had the benefit of five trials since October last year. “It looks to be a pretty strong 2yo race for her to kick off her career but she’s done well since her trial which has brought her on nicely,” said Munce. 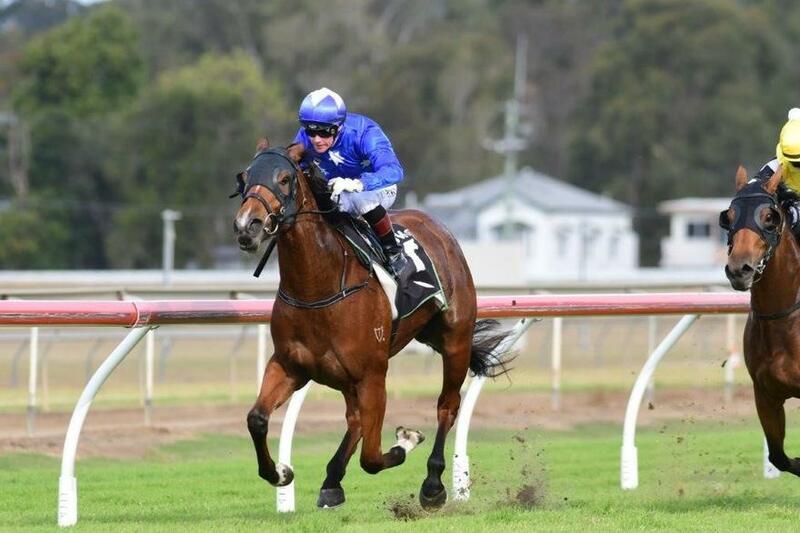 Miler KINGAROY is first-up over 1400m, having benefited from two trials leading into this assignment, and Munce believes he’ll be suited by the big Grafton track given the horse's two wins have come at the Sunshine Coast. "He’s drawn very nicely and it looks to be a race that’ll suit him to kick off his preparation,” he said. "Hopefully he can be just off mid-field from the good draw and the big Grafton track reminds me of Caloundra so I’m hopeful he’ll handle it well. Maiden WESTERN ORDER lines up in the Maiden Plate over 1610m, looking to build on an improved effort last start when fourth at the Gold Coast over 1400m. "She's an improver and she’s certainly there to run a more competitive race,” said Munce. The stable also has BADGE OF GAMENESS entered for Gatton tomorrow in the Class 1 Handicap (1600m). "I’ve very happy with where the horse is at and his work has been very strong since his last start at the Gold Coast,” said Munce.